There are so many parks, trails and nature preserves to explore in the DFW area. 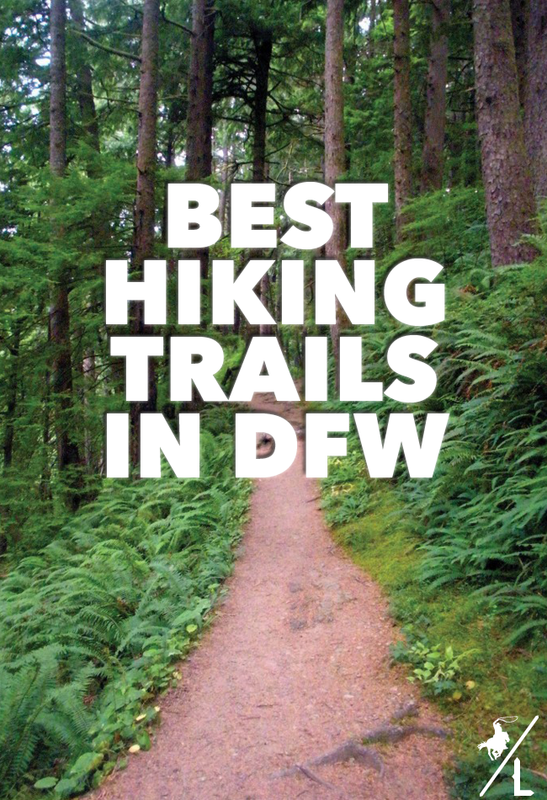 Here are 5 of my favorite hiking destinations in DFW. Fort Worth Nature Center & Refuge – This gem is made up of over 3,000 acres filled with bison, deer and buffalos. It’s easy to spend an entire day here exploring. Eagle Mountain Park – Has 6 different trails that offer views overlooking the lake to shoreline trails. Bob Jones Nature Center – Expanding over 750 acres, takes you on several trails with some leading to lake Grapevine. Dogwood Canyon – Has over 2 miles of trails. You can take the stroller friendly trail or a more challenging 1.5 mile trek with spectacular views. Dinosaur Valley State Park – This 1,524 acre park lets you explore nature and search for dinosaur tracks on the trails. So lace up your hiking boots, grab a water and go explore one of these parks for an afternoon fun! Do you enjoy hiking? Where are your favorite trails?